This online D.N.P. Family Nurse Practitioner option for master’s-prepared nurse practitioners prepares nurses for an advanced level of nursing. This option is for applicants who previously earned an M.S.N. and now desire to complete a practice doctorate (D.N.P.) and become eligible to sit for national FNP certification. Would you like to expand or change your advanced practice nursing role? Are you interested in an area that is not the specialization obtained for your M.S.N. degree? 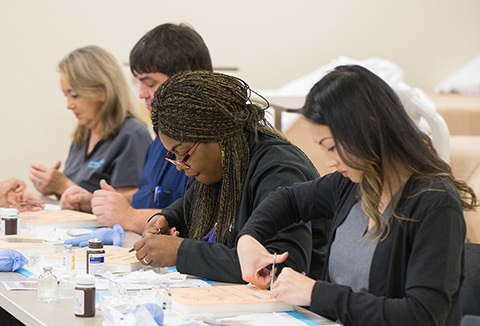 Our Post-master’s Advanced Practice FNP offers the opportunity for you to build upon your clinical skills and knowledge, allowing you to become a family nurse practitioner while earning your D.N.P. degree. If accepted, a non-refundable fee of $750 is required to secure admission to the program. This fee is applied to the first semester's tuition. 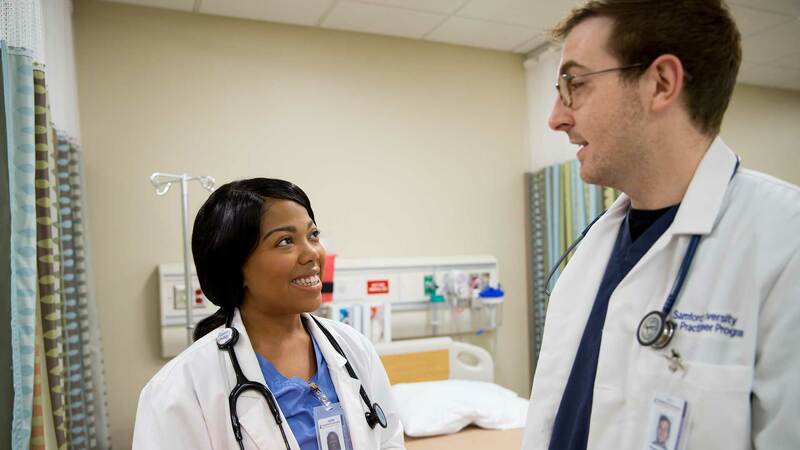 Applications to the Doctor of Nursing Practice program are submitted online through Slate.